Including references to the Supernatural, Praeternatural, Paranormal, Occult, and magick generally. 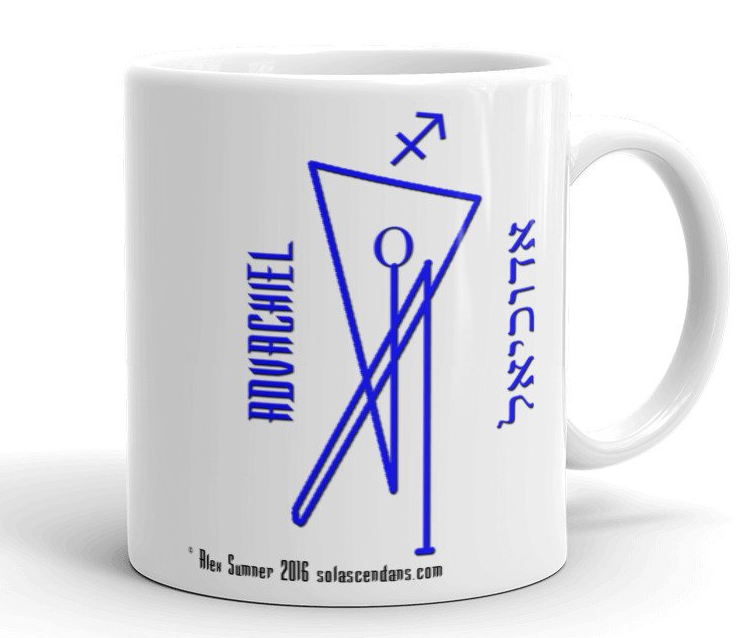 Sagittarius Hermetic Qabalistic coffee mug: featuring the sigil of Advachiel, Angel of Sagittarius, according to the teachings of the Hermetic Order of the Golden Dawn. You now have the opportunity to celebrate your birthday – or get a present for a Sagittarius in your life, from my Etsy shop. This features the sigil, taken from the Golden Dawn’s rose-cross lamen, of the Angel of this month’s astrological sign (in this case Sagittarius), in the correct Zodiacal colours. 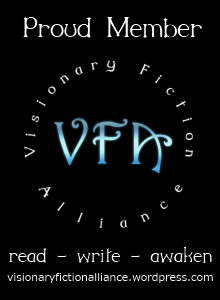 (a2a) On the quest to become a fully-realised individual, every one of us, sooner or later, comes to realise that we each have a Dark Side, and the only way to become whole is to face up to it. It remains Dark, because it represents what we most hate about ourselves. Ironically however, it is also a source of strength. Hence the journey to wholeness involves integrating the Dark Side – or making your Demons work for you, instead of against you. Luckily for you, dreaming about demons but in a non-scary manner would suggest that you are confident about facing up to your inner darkness, and are already well on the way to becoming a well-rounded individual. (a2a) I rarely go to other people for Tarot readings (I’ve had about two in my entire lifetime) – usually it is me giving readings for them. So if I wanted a Tarot reading, the first person I would think of going to is myself. The cards make me think of things which I would not normally consider, and hence because I am forced out of my habitual thought-patterns, this helps to spark my intuition. 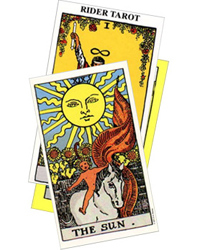 The Tarot cards really work as Keys to Unlock my own insight, and stimulate my psychic awareness. I also find that if I have a question bothering me, and I do a tarot reading on it once, that provides closure on the issue, whatever the particular outcome of the reading happens to be. I strongly advise against the temptation to attempt to have more than reading or consult more than one reader attempt to answer the exact same question – you would be losing objectivity by hearing only what you want to hear. Firstly: take control of your lucid dream. Not only do you need to be aware you are dreaming but you can alter the content of, and move about in, your dream at will. Secondly: you have to do something which in New Age speak is called raising your level of vibration. In practical terms this means invoking divine energy, e.g. through the chanting of divine and angelic names, meditating on and filling yourself with the qualities of the place on the Astral Plane you wish to visit, etc. 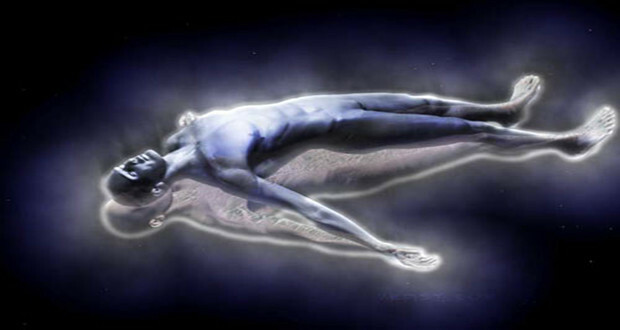 Thirdly, after you’ve done that, you then project to somewhere you -know- is on the Astral Plane. This could be done by deliberately flying as far away from Earth as possible – which signifies getting away from content created by your own brain, until you reach astral phenomena which exist objectively. Alternatively, try dissolving everything you see into Whiteness – and when you think you can’t dissolve any more, dissolve -that- as well. In occultism, the most popular method is to project through a Magical Symbol as if it were a Doorway – this has the effect of taking you away from your own mind, to a place on the Astral Plane which the Magical Symbol represents. “Tattva” symbols are commonly used to take one to a place associated with Elemental forces, but you could theoretically use a whole host of symbols, such as astrological or Qabalistic symbols, or even Tarot cards. It is always sensible to remain cautious: be open to what you see and experience but don’t necessarily believe it; ask for a Guide to accompany you when you project, and always make the beings and things you encounter show bona fides that they are telling you the truth. Then when it is time to leave, thank your guides, and retrace your steps back to your physical body here on Earth. 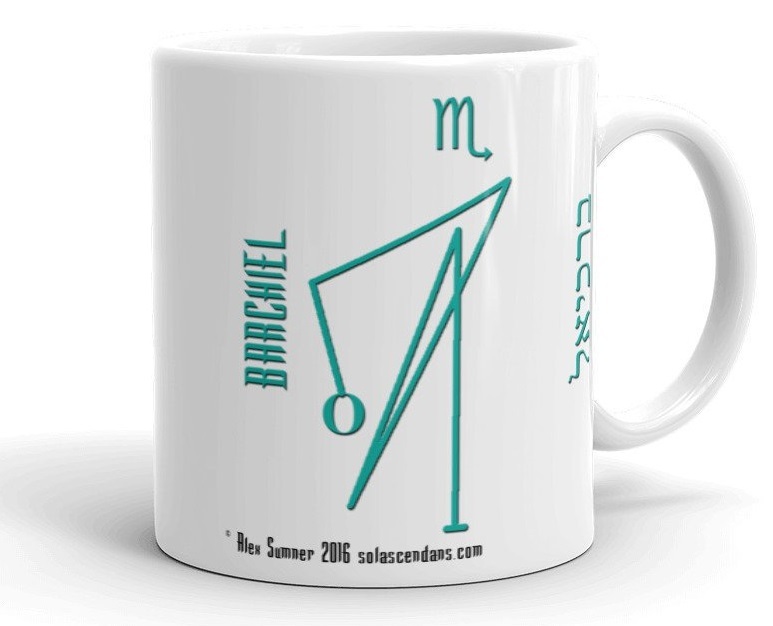 Scorpio Hermetic Qabalistic coffee mug: featuring the sigil of Barchiel, Angel of Scorpio, according to the teachings of the Hermetic Order of the Golden Dawn. You now have the opportunity to celebrate your birthday – or get a present for a Scorpio in your life, from my Etsy shop. This features the sigil, taken from the Golden Dawn’s rose-cross lamen, of the Angel of this month’s astrological sign (in this case Scorpio), in the correct Zodiacal colours. For a beginner, I would recommend “The Alchemist’s Handbook” by Frater Albertus. Although the spagyric work it describes is only introductory, it does do a good job of acquainting the student with the basic terminology. – all of which I would also recommend. A person born in December 1984 would be 33 going on 34 years old in 2018, would have had one Saturn return, and be coming to the end of his third Jupiter-cycle. 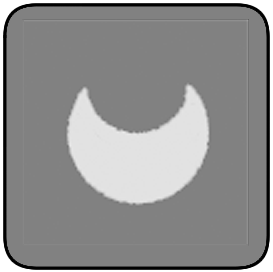 The method used in western Tropical Astrology to narrow down your birth time is called “Chart Rectification.” This consists of looking at major events in a persons lifetime, and then comparing them with transits made by (e.g.) Saturn and / or Jupiter to that person’s natal chart. If a major event corresponds to a planet transitting a -known- feature of the Natal chart, we may ignore that event for the purpose of Chart Rectification. If however a major event does not correspond to such a feature, that is evidence that one has discovered a previously unknownfeature of the Natal chart – such as the exact position of the Ascendant or Mid-Heaven. We can verify this to see whether the position of the Ascendant would fit in with the known-facts (given the data supplied in the original question, the Ascendant can be narrowed down to a range of 22º 30′ – the maximum amount by which it would change position in ninety minutes). For example: if one experienced a major life-affecting illness, AND that particular time did not correspond with Saturn transitting anywhere or anything else in your chart, that might show that Saturn was transitting your Ascendant at that time. Alternatively, if you experienced major good fortune in your public life, and Jupiter was not transitting anywhere or anything else in your chart, that might show that Jupiter was in fact transitting your Mid-Heaven. By thus working out the precise moment of your Ascendant and / or Mid Heaven, it is then possible to work out your exact time of birth by back-calculation. 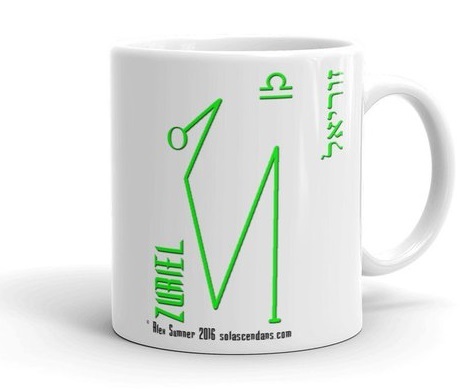 Libra Hermetic Qabalistic coffee mug: featuring the sigil of Zuriel, Angel of the Libra, according to the teachings of the Hermetic Order of the Golden Dawn. You now have the opportunity to celebrate your birthday – or get a present for a Libra in your life, from my new Etsy shop. This features the sigil, taken from the Golden Dawn’s rose-cross lamen, of the Angel of this month’s astrological sign (in this case Libra), in the correct Zodiacal colours.